Just going to warn you now that November is going to be the month of stationery! 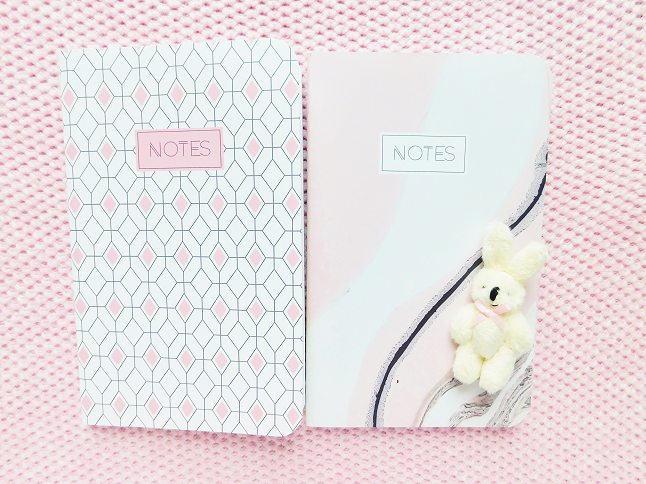 I bought so much stationery in October but because of Blogtober I decided not to post about stationery so I have plenty of hauls saved up that I will be revealed in November. 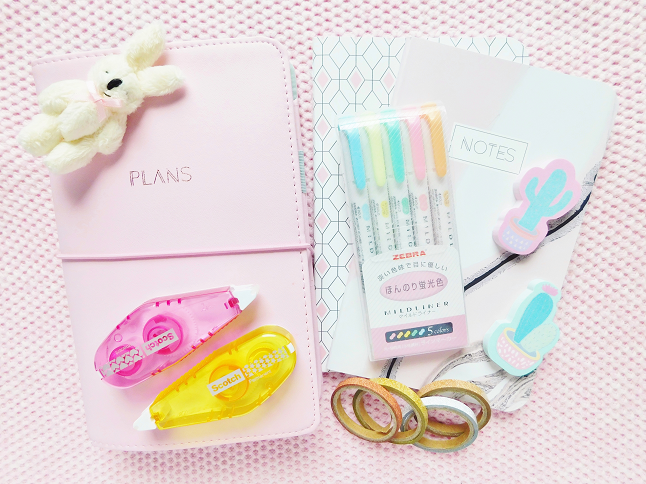 Today I have a haul with stationery items from Target and Amazon. Everything (minus the highlighters) are from Target. 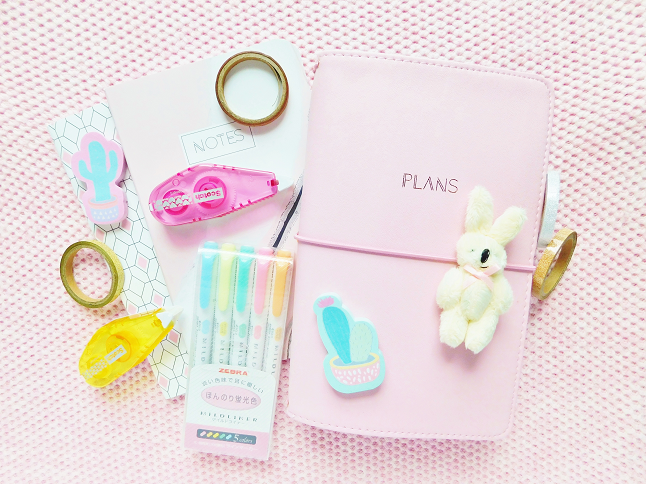 If you love stationery posts let me know which ones you would like to see in the comment section. I've always wanted a Travelers Notebook but never liked the simple look of them so when I saw that Target partnered with May Designs and Blue Sky to create these planner-folios I was sold! The planner-folios are made of a faux leather material, contains two monthly planner inserts, three pockets on the sides and four straps on the inside for inserts. There are four different designs pink, dark grey and two different patterns. I promise to post a Travelers Notebook set-up soon! 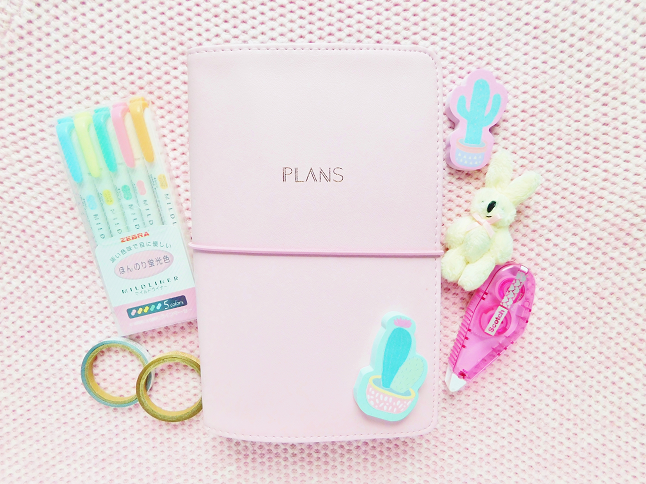 They also sold these notebook inserts that fit in the planner-folio. They only cost $6 for 2 notebooks which I thought was a fantastic deal so I bought them too. I love the designs on the cover! One of my favorite stationery accessories to use is adhesive rollers. I use them all the time for pretty much everything! My favorites are the Scotch brand ones, they are the best in my opinion. I prefer the red roller but they didn't have them the day I went to Target so I bought the pink and yellow rollers. I've always wanted to buy these but worried they wouldn't work as well as the red one but they're not bad (still prefer the original though). Even though I have tons of stationery I surprisingly don't own any highlighters so I thought it was time to buy some. 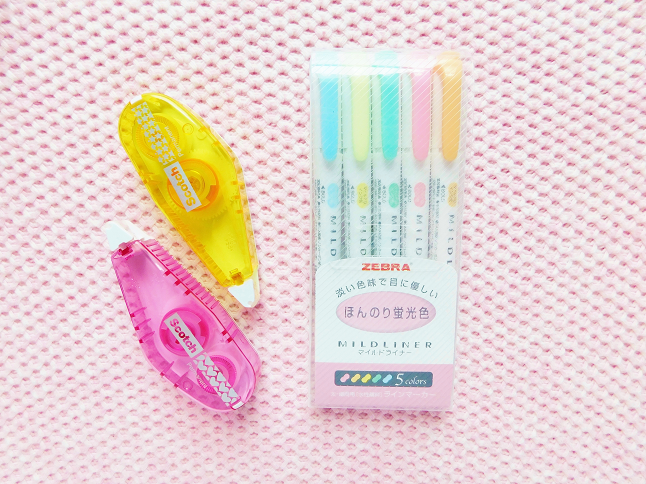 Pretty much every planner/stationery addict I know owns the Zebra Midliner Highlighters so I decided to purchase these. At Target I found these adorable cactus sticky notes that were too cute to pass up! Target Dollar Spot sticky notes aren't the best quality because they peel easily so I don't buy them that often only when the design is cute. 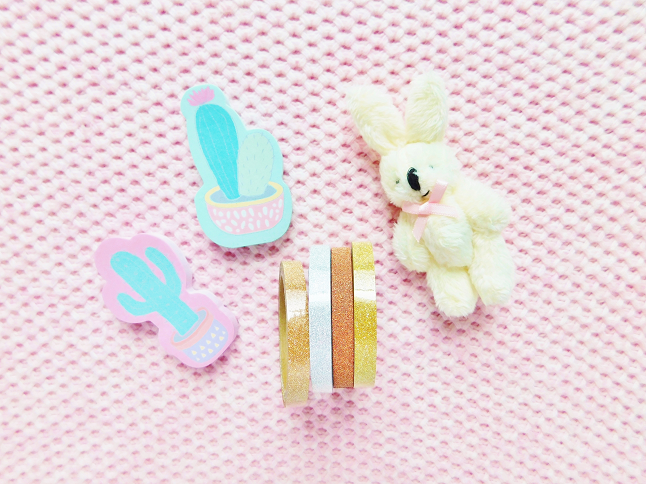 I also saw this thin glitter washi tape set in the Doller Spot. Looking back this was definitely an impulsive purchase. If you've seen my washi tape collection then you know that I have tons of glitter washi that I rarely use. They were only $1 so I don't feel that bad about buying them and I did use the orange glitter washi in my recent planner spread.